Air ducts are as different as every house in which they’re built into. There is no one established rule on when to have them cleaned. However, that doesn’t mean we should neglect them and let them accumulate dirt over the years. Unlike other parts of your home, ducts are not visible for inspection and if left alone for a long time, dirty ducts can pose a problem for you and your family. Contact Dalworth Restoration to schedule a inspection of your air duct system. 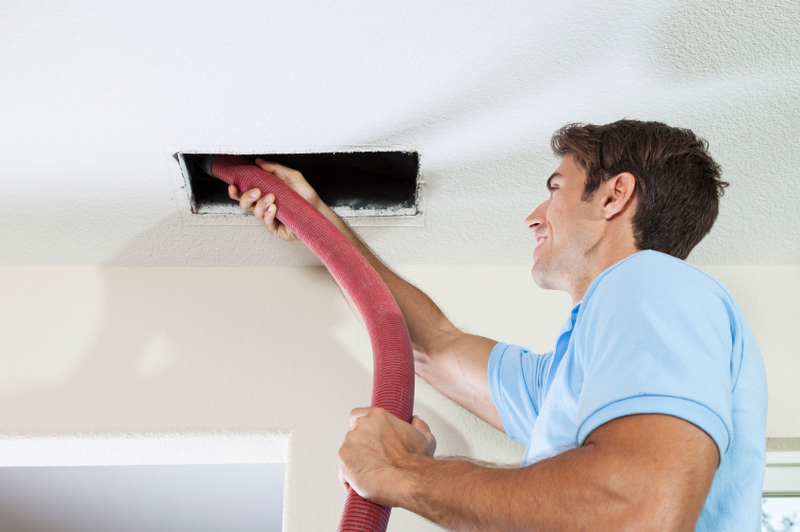 Our professional service technicians inspect, clean and repair your ductwork so you can breath easy. If you have insulated air ducts that get wet, mold can grow after a period of time. While this type of fungus doesn’t look immediately menacing, it can be very dangerous when its spores are consistently inhaled. Skin irritation, coughing and wheezing are some of the more minor effects of mold exposure. At its worst, mold can produce harmful mycotoxins that can affect the human nervous system. Wet conditions can also encourage the growth of bacteria that can spread diseases and cause allergic reactions to people in your household, These germs can sometimes penetrate through filters en route to inhalation and infection. Once clean air enters a dirty air duct clogged with dust and debris, these particles are released into your home from your supply registers. People with pre-existing respiratory issues such as asthma and allergies could find themselves experiencing sudden attacks of their conditions if exposed to dust on a long-enough time frame. There is no corner in a house that rats and insects cannot find as long as that corner is dirty. Filthy air ducts are safe havens for these house pests because they have the particles, moisture and seclusion that pests constantly seek. You probably don’t need a drawn-out explanation on why rats and cockroaches are bad news. These creatures carry a diverse set of harmful microbes that can be carried by the air passing in your home’s ducts. When the air reaches your living spaces and is inhaled by members of your family, contamination becomes a very real possibility. Some studies show that cleaning dirty cooling coils, fans and heat exchangers can improve the efficiency of heating and cooling systems. In today’s energy-conscious world, that’s a big deal. Living comfortably while contributing to the fight against global warming and saving money on electric bills can go a very long way. If you’re living in the Dallas-Fort Worth area and you’re considering having your air ducts cleaned, call Dalworth Restoration at 817-203-2944. We have the personnel, knowledge and equipment to do a superb job in the least amount of time.